You are here: Home / Blog / Plumbing / Do You Have Poly B Piping in Your Home? 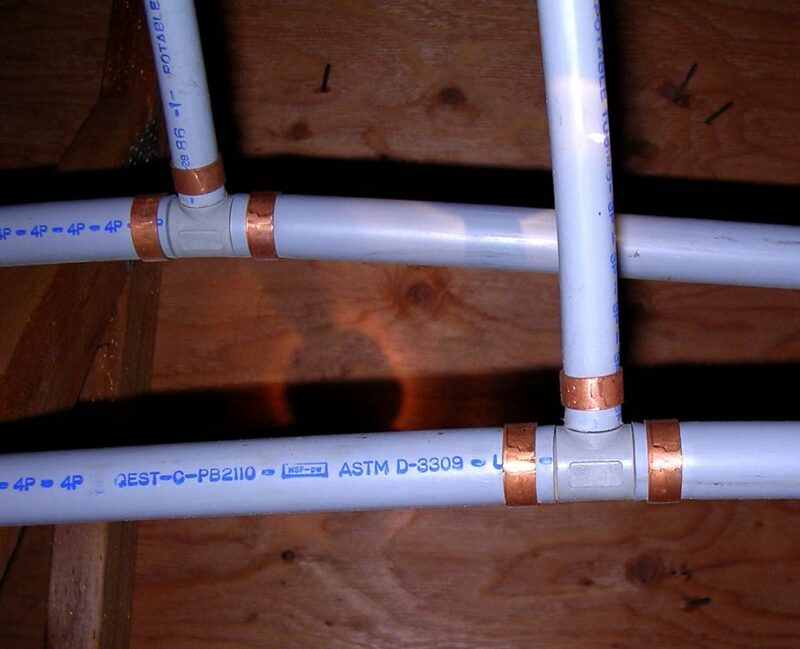 Do You Have Poly B Piping in Your Home? Polybutylene pipe, otherwise known as Poly B piping, is a particular kind of piping that your home may be utilizing. One way you can tell is by looking under your sink, and if you see thin, grey piping, then that is Poly B. Poly B was used in hot water heating systems and in constructing new residential homes throughout North America, mainly during 1978-1998. First designed as an economical alternative to copper piping, Poly B was used in many homes throughout the Lower Mainland and Fraser Valley areas. So what’s the big problem with Poly B piping? Answer: Poly B piping has an abnormally high rate of failure. 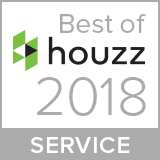 Lately, we have had a number of clients call us, saying that their home insurance companies have sent letters informing them that they will not renew their insurance, if their homes have Poly B. Because Poly B often needs to be completely replaced within 8-11 years of being installed, most insurance policies no longer cover Poly B. If they do, a high deductible is required to receive that coverage. Yes, Poly B piping was cheaper and easier to install, but this didn’t mean that this was beneficial in the long-run. Within 10 years of Poly B installations, real-life horror stories started to surface, resulting in needing new piping to be installed. Homes with Poly B pipes are not so great for resale, either. If you’re looking to buy a fixer upper or sell your family home, check the piping under the sink first! 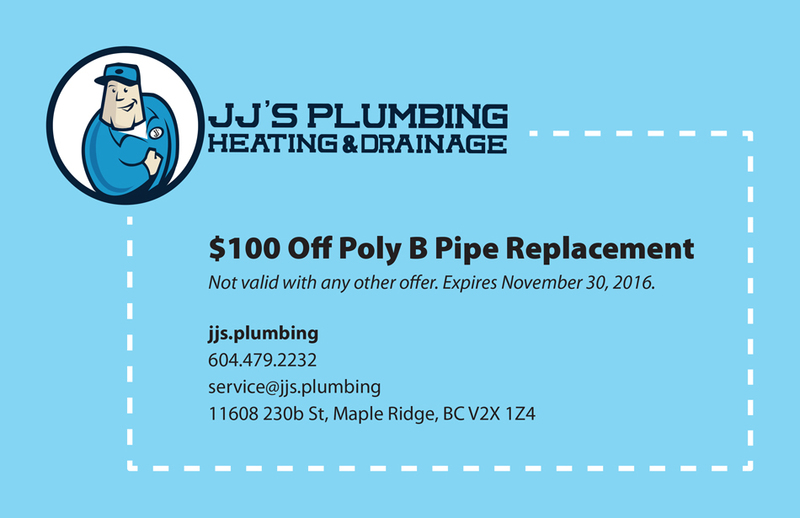 If you know that you have Poly B piping and want it replaced, or are unsure and want to find out, call the JJ’s Plumbing Experts at 604-479-2232 or visit us at jjs.plumbing to fill out our online form and get in touch for your free no-obligation quote today! For a limited time, we’re offering $100 off your Poly B pipe replacement! Book for your free quote today. https://jjs.plumbing/wp-content/uploads/2016/09/polyb-pipes.jpg 966 1192 Janet Stolth https://jjs.plumbing/wp-content/uploads/2017/12/JJs-Plumbing-logo-with-tag.png Janet Stolth2016-09-09 17:15:582017-10-10 19:40:33Do You Have Poly B Piping in Your Home? Need-to-knows on Replacing Your Water Main Don’t Ignore Your Drain Tiles!